I bought Affinity designer for Mac, but I would switch to Linux if Affinity designer was available. Apple is becoming more of a luxury brand, then an innovator. @Trueman, I mentioned some Wine options earlier on in this thread but some previous single payment versions of Photoshop do work well with Wine (Gold & Platinum ratings) and depending on a computer's capability, it's also possible to use Affinity and Adobe softwares in Windows in a virtual machine (free Virtualbox or VMware) on a Linux PC so in a roundabout way it is sort of possible to run Affinity Photo and Affinity Designer on Linux. We did see the past years a big move for pro software on Linux, at least 3d and Audio, then Video for some and now Games ! congrats to Valve ! I was wondering, I believe it would be possible to have an affinity on Linux. there is something called snap packages which a Universal App for Linux and all major distros. I think it would be a great benefit for Affinity products. any thoughts? I know this was discussed before but now with this Universal packages, it is possible now to build once and run on all Linux distro. Thanks for your contribution (these have been mentioned previously). The main issue would remain (producing for several distros is not an issue in any case) , as it does not cut the port efforts from Windows/Mac to Linux. But any step on that direction from the Linux world, I do welcome it (in general). I'd love to switch to Linux too! And how many Designers do you think that would be using Linux? One of the biggest issues with using Affinity stuff compared to Adobe is compatibility with industry standards. Things like Photoshop Smart objects, the fact some items are vectorised on output, some not, SVG issues and so on. Imagine how much worse it would be going from Linux to industry standards. Nearly all the customers will likely be running MS Office on PCs so you will need to be compatible with that too. Few professional artworkers/image editors can swap because Affinity software cannot currently run some of the essential plug-ins, like green screen software, specialist separation software etc etc. I prefer Photo to PS and Photo's current limitations don't bother me because of the type of work I do. But I recognize that certain types of 'professional' work would force me to use Photoshop. On Linux, there will also be lots of other things missing, imposition software etc, although sometimes that can be sorted with PDFs, sometimes not. There are no printer drivers for dye sublimation printers, or not for mine. Using Linux would create just endless hassle trying to sort these things out when you should be concentrating on making money. Then there is technical support, very few shops sell Linux machines and give support. You have to be a geek just to get a Linux machine running, let alone fix any issues. From what I can see, Linux users only see their own 'off the grid' world, but reality is the infinitely bigger world of needing to work with and be compatible with Mac and PC users, (we call them customers). That can be tough even when using a PC or a Mac. It would be much tougher using Linux. So what is left? A few amateur designers designing small jobs for small local companies, churches etc. Maybe a few specialist companies using Linux but they can usually design their own stuff. Then the designs will probably need to be printed, so yet more compatibility problems. Life would be an endless struggle, so eventually you would need to run PCs too, so what's the point? A common quote for the most important thing about property or shops, is "location, location, location". When it comes to customers, you have to be in the right location, which is where the customers are, and they are in the Windows world, mostly! It's no good being smug because you think your pet operating system is better. In fact telling your Windows customers will only pee them off. Microsoft is in the position it is because schools, businesses and every shop sells it and is familiar with it. Better the devil you know and all that, but it is reality. We all need to face reality sooner or later. Let me just add to this already voluminous post that I purchased both Mac & Windows licenses for Photo & Designer, and will do the same for Publisher. I dislike Windows with a passion and I love my Macbook, but it's aging and won't last forever. Macs are expensive. If there were Linux versions of these I would buy them, if just to free me from having to eventually replace a Mac or run Windows. Hmm, didn't know they sell Linux licenses at all, maybe due to St. Nicholas Day. Typo, I just fixed. Mac & Windows - you can see from the rest of the message that if there was a Linux version I would buy that, which is what I was trying to say. I know, just were kidding. - Related to the Linux theme, though I can understand the demand and interest of Linux users here, it's pretty fruitless since they don't have intensions to port their tools line over to those systems. We all do, and yet here I am adding my post to this essentially pointless thread. Thanks for the well thought out response. Actually, if I can't run it on the bare OS I'm not interested. Having all those layers including a secondary OS... I've used VMWARE and VirtualBox and all that stuff in my previous IT career and even in software test9ing (where I am now) and honestly it would be nice to see linux versions but without them I'd just use Windows or Mac. If when the times comes I can stay on Mac I will. If not I will use Windows. All I was saying is that it would be "nice" to have that other option although I understand the reasons why they are not doing that. 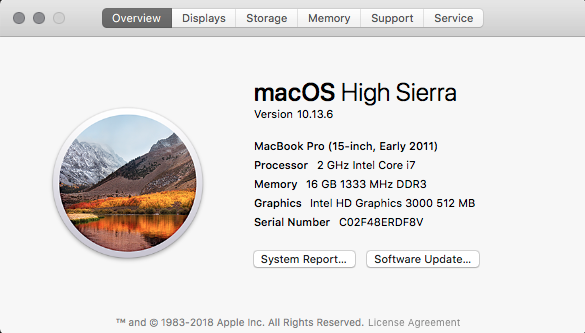 That i7 mac with a SSD doesn't look bad to me... true that I'm the king of overuse old fashioned hardware.... Oh, I see, now... 2.2 / 2.3 GHz... that's slow (mine 2.8 turbo at 3.46 (overclock dunno, never do that) and is slow... but 2009 is first gen, too)...I can see you being eager of a new cpu, specially with big images and stuff. I do tshirts on Amazon and other POD which is my main use case for Affinity. If I manage to sell enough in future maybe a new Mac is in the cards, but I planned on turning that money into Bitcoin/Ethereum/etc first so I guess I'll just rough it. Actually my 2011 macbook exports the designs to PNG pretty quickly. It's not like I'm making 3D movie stills or anything. 16gb of RAM and SSD are the big things that keep my machine relevant. Just that, you know about obsolescence etc. It happens..
EDIT: I started this as a new thread here in hopes of it getting noticed by more people.. Here's an amazing idea. Let's crowdfund Affinity Designer and Photo for Linux! This is a huge "what if" scenario. What if Serif were interested in developing a linux version if they already knew that a sufficient amount of users would buy it? Then why not crowdfund it?.. If thousands of linux "nerds" who only use the computer for hacking and coding and never designing (irony intended) would pledge the needed amount, Serif could just wait until the goal is met and then start developing? If not, all backers can get their money back, nothing lost, nothing gained. I'd be willing to pay and I'm sure others would too. If there aren't enough linux nerds, the goal won't be met, if there are, who needs graphs showing estimated numbers, we would have facts and money to back it up. Serif could even do it as a test without any promises. Backers can promise money if they decide to go for it but should they choose not to, no hard feelings. As long as they are clear with their intentions. I can say right now that I'd be willing to pay quite a bit more for a linux version than for the mac and windows version if that's what it takes. Decided to start a new post instead. Edit: The whole above IF I understood well the idea. Which might be not the case. I have this one lonely and overstressed neuron doing all the work in that empty space. I'm a 3d artist, just switched to Blender after long years using 3dsMax, I'd love to see Affinity Photo on Linux now because I want to ditch Windows for Linux and then obviously stop using Adobe products. Is there a chance they will make Linux version? What's the official statement? There's no plans for a Linux version. Gimp is making special big progress this year. I'm aware they are almost completely sure adding a CMYK mode (thanks to GEGL library, the team, and a particular programmer's project), finally, and they have been adding pretty advanced stuff (lots of photo retouch stuff to Gimp) in other areas. Inkscape is a very interesting vector application. It does even better some things than their commercial counter parts. If you made such jump (I'm also a maxer, worked using it at several companies, and I also switched to Blender, in 2002. I use it for very serious, pro level projects, today, ) But I have kept using Adobe and Autodesk at companies. I suspect that you need it for personal work. I have handled Gimp and Inkscape at companies where they did not want to purchase more licenses han the seats they already had. If you are that committed (turns out I've discovered most people that say so, really haven't, not saying you are one of those) take the time to really see the potential of Gimp and Inkscape (and Scribus, Krita, Synfig, Davinci Resolve,etc). This totally demands from the user to stand the first month and a half cursing on the UI (/s), so that the user begins to see HOW is it useful, becomes familiar with it , and starts using it to its best advantages and strengths. Is a common factor with all software, but very specially, particularly with open source, as you have already discovered with Blender. Is not that different from the others, similar effort, even Blender is harder as is deeper. But you did it. Because you really wanted to go for it. You need to want it with the others, it's as simple as that. Because in a 99.9% of the people that say these tools are not worth it, they don't know them deeply enough. Only a very tiny percentage of people ( of the naysayers) have used those for professional printing, games, web design at high level, etc. I have done so, and with similar high requirements as I extensively did with Adobe and Autodesk products, for so many years. 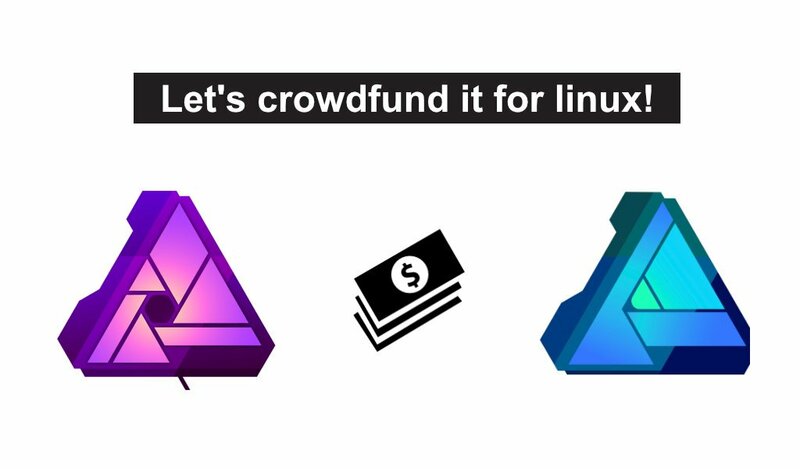 Due to their hard UIs, those graphic linux applications (closed and open source) are underrated as heck, mostly by lazy people not willing to go the extra mile to really go SERIOUSLY for an option (this includes REGULAR donation, too ! Linux does not really need it, but graphic apps do, because they receive very little attention from Linux powers that be ( which today, are VERY powerful), neither support from Linux companies (a bunch of which, today, are wealthy and powerful)) , meaning, to really go all the way for Linux . There are millions of people using Windows 7, they can switch to Windows 10 anytime for FREE, but they don't want to. Where will they go when Win7 is dead? I beliieve the only possible direction is Linux, since Apple is just another M$ - even worse. I was hoping to use Substance Painter under Linux but the cancer (adobe) has just devoured it 5 days ago. As you can see there is no industrial quality software for Linux now. GIMP is not an option. GIMP is not good enough, no layer effects, no brush stroke along path, no slices, editing channels doesn't work properly, etc, etc... there is more, and I did give it a try for quite some time. For me the only true PS replacement is Affinity Photo. Vector software is not my business, if I wanted it I would probably go for Corel Draw or try Affinity D.
I mean, there are ways to do the upgrade yet now. But I doubt on legal aspects of it, license wise. The only possible direction is Linux? With all the production environment already in Windows? Sorry, but nope. The only one path that indeed makes sense is Windows 10. Or, if anything, Mac OS. As a lot of the pro software is there, too. These are the two OSes having the greatest number of pro software for producing graphics. You have....options in Linux (for ever underrated, for what I keep realizing) , but for a pro what really makes sense is to keep in Windows or move to Mac OS. Slices... well not per se, but you can get quite a lot of that workflow : https://youtu.be/XNnpvNpPowk And with other methods. Editing channels... My main grip in Gimp was for a while not supporting CMYK, : This is changing pretty soon, thanks to what Gimp is going to also own a massive improvement in so many fields: The GEGL implementation. About editing channels, yup (not cmyk ones, of course, yet) it has it. Limited? Yep. But you will find there are people not happy in how you can edit channels either in Affinity Photo, so, mostly, IMO there is NO replacement for Photoshop. Is: Use other thing or pay the darn subscription, have the rest of limitations that comes with it. I wouldn't use the word cancer here: It diminishes the term and all what involves to so many people, but also, Adobe is just a company, not an evil creature, which has tremendously helped to get us where we are now in terms of 2D industry evolution. This doesn't mean I need to like their policies, renting-only and pricing system. Gimp is not to be judged by its current state, but for what is going to be ( and... should have no issues with that! You are willing to trust all for a FUTURE A.Photo linux version...! ), with all what they are preparing. Is even in its current state and I could handle all the graphic needs of a very production heavy company, being there the only graphic professional. It is possible, it is doable, just requires more patience and workarounds. Is up to anyone to go for a little sacrifice or swallow whatever you find by subscription models... ( as IMO, A. Photo ALSO requires quite some adaptation from a pro very used to Photoshop, and handling very complex activity, required by the market. If you have used quite A. Photo, you'd know what I mean. If not, then you might yet get some surprises.) Of course, PS is better than Gimp. And Photo is more complete than Gimp, still, for a user heavily trained in PS, this person will notice a ton of things when using AP as a full replacement of PS.